Not long after free agency began for all professional players in Australia, Bendigo Spirit’s newly appointed Head Coach, Tracy York has stuck with regional talent with the signing of Abbey Wehrung for the 2019/20 WNBL season. Wehrung’s first season with the Spirit was impactful from the jump, finding herself in the starting line-up for all 21 games of the 2018/19 regular season. Averaging 10.33 points, 2.57 rebounds, 2.38 assists per game, all while also averaging 31.4minutes per game. Abbey came alive in the second half of the season having scored in double figures several times, as well as, closing the season with a season high 30 points against eventual champions The University of Canberra Capitals. Head Coach Tracy York made no hesitations when discussing the re-signing of Wehrung, saying “Abbey is an athlete, fast guard, with strength to match. With plenty of experience under her belt on all levels of basketball, her IQ is high and only seems to grow as she continues her career in the WNBL. Being a regional Victorian and one close to Bendigo, she understands our value in the Bendigo community and represents that with pride. 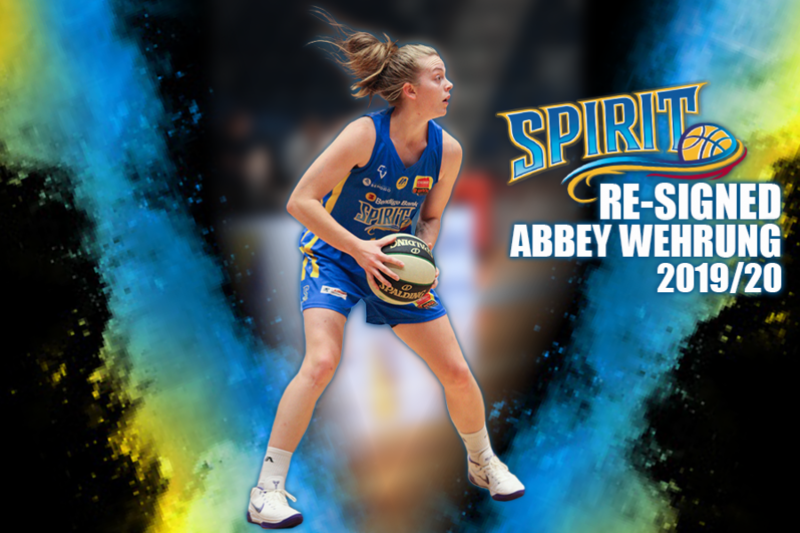 Bringing back a stellar athlete such as Abbey Wehrung provides Coach York a great platform to build a successful 2019/20 WNBL roster.